Black leather overcheek piece with brass hardware. 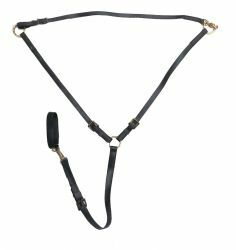 Synthetic martingale with brass colored hardware. 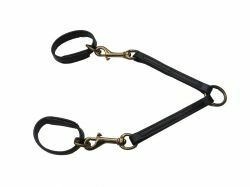 Nylon German Olympic running martingale. Flat nylon draw reins with loop ends. 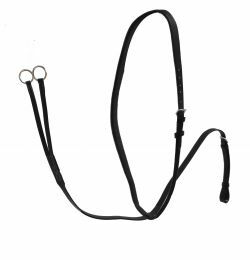 Cob size dark brown leather running martingale. 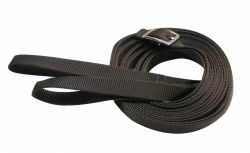 Nylon surcingle training reins with elastic ends. Sold in pairs. Fleece lined synthetic hock hobbles. 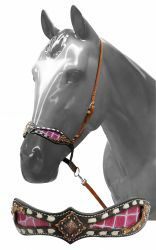 Showman ® wrap embroidered wither strap. 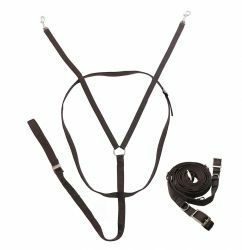 Showman ® Black and medium leather noseband with beaded inlay and suede fringe. Showman ® Adjustable tie down with pink alligator print inlay and tan buck stitching. 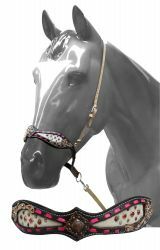 Showman ® Adjustable tie down cowhide inlay accented with pink buck stitching.